Pentaploid 27" Mid Late Season Dormant emo fr 10" 3-4 way branching 18-24 buds. Fertile both ways. Rebloomer. 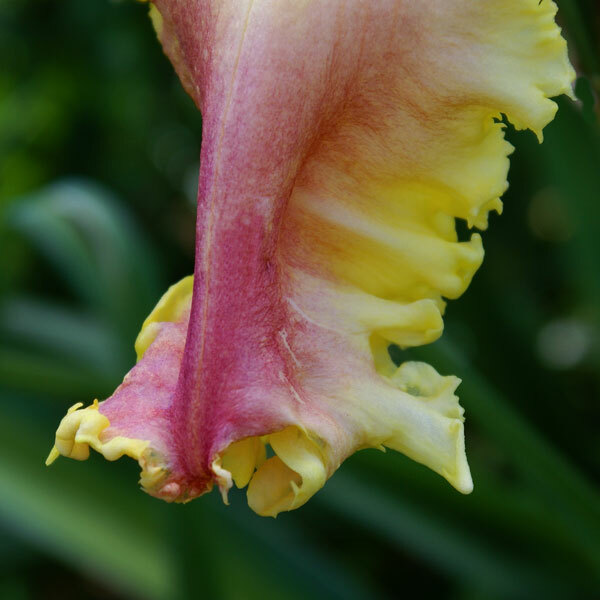 Flowers of Heavenly New Frontiers are pink with lighter watermark and gold toothy edge and green throat. One of the first flowers i introduced that was ground breaking in its time was Heavenly Beginnings. Today the grandkids such as Heavenly New Frontiers have arrived. Like H beginnings was the beginning of my toothy program, H New Frontiers is going to take us into the unexplored regions, the New Frontier. First of all it is the first known Pentaploid. I expect many others to exist, but first registed as. It is extremely pod and pollen fertile. Its pollen sets on 3.5x, 4x,5x ploidy with ease. 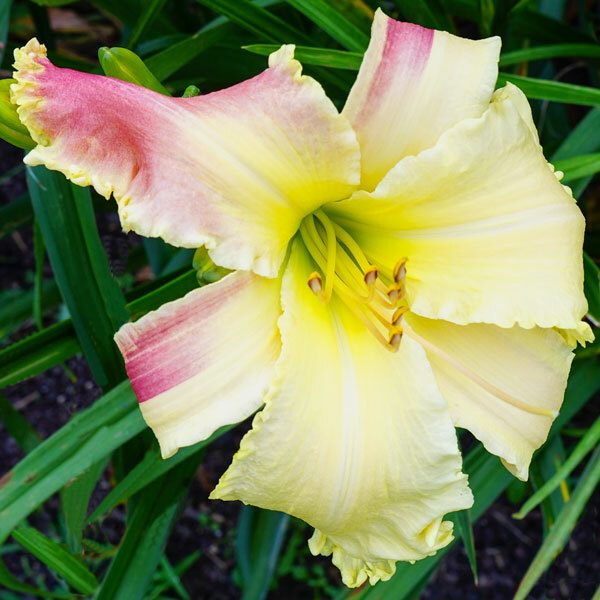 It and Heavenly Way Big are the most powerful pollens I have ever used in a daylily. The substance is much better than normal tetraploids. Below is a few photos of its different forms. I have even seen color changing and doubling in it. I believe this to be the most important daylily of the Decade. It is an outstanding garden plant as well. Ok, why the high cost. 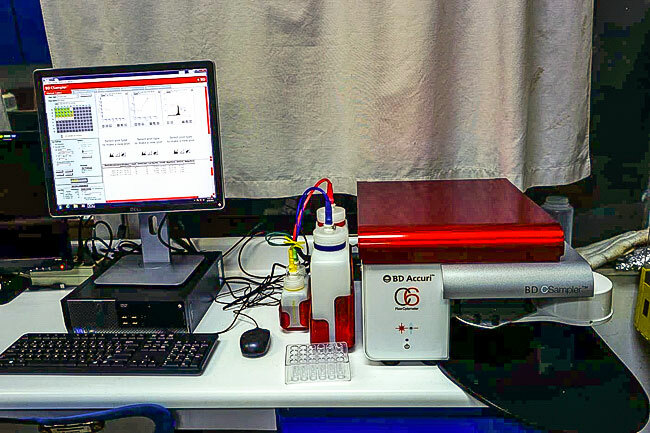 After purchasing a flow Cytometer from BD Accuri C6, i began testing ploidys. I was wondering why many of the new plants I was purchasing from top breeders were so hard to use as pod parents. Below is just a little of the journey. The more i tested, the more questions i have. Im at the point I need to do chromosome karyotyping, the same system used by all the main cancer research labs. It is around $34,000 for a basic system with setup and 3 days of training. . PDF file of my quote can be emailed to you if so desired. Would be hard to get a grant from AHS, so I'm going to sell this flower to buy it. All money from its sales will go to its purchase. I'm still short 5,000 but friends like Mike Holmes have donated Heavenly Queen of Sheba to make up the difference, Thanks Mike. So by buying this flower you are investing in the AHS. A database will be created for all to benefit. We will also be able to offer testing for these services. The hope is to have AHS fund money to hire grad student to run samples. There is about 5,000 funding per year, it did not get used this year. 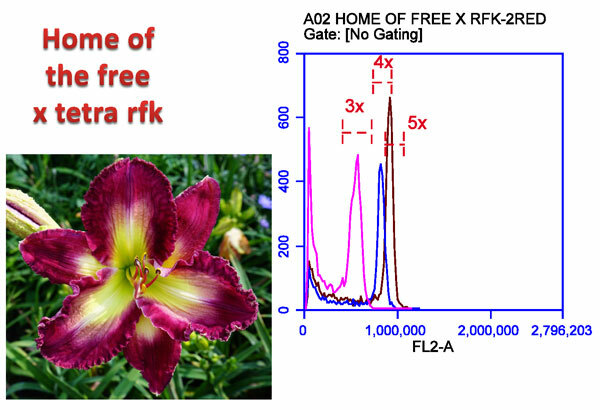 This opens the doors for all hybridizers that want to cross across ploidy levels. 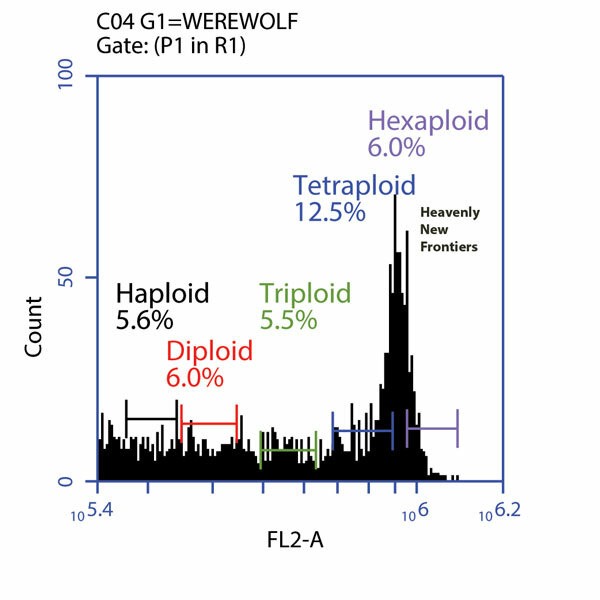 I believe we can cross the hexaploids with the diploids to get diploids with tetraploid genes. I have also identified two haploids, such may be a way to make rust resistant daylilies. The possibilities are endless. 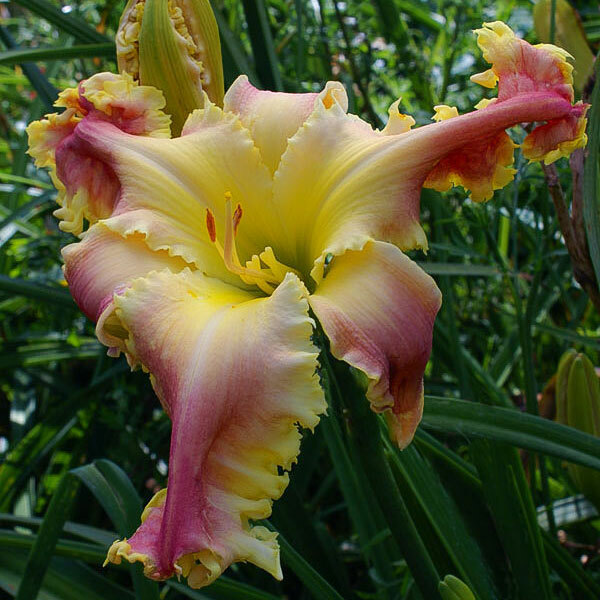 This is my best daylily I have introduced to date, that why the seedling number was G1. On its maiden bloom, several hybridizers saw it and i was offered $5,000 for it. 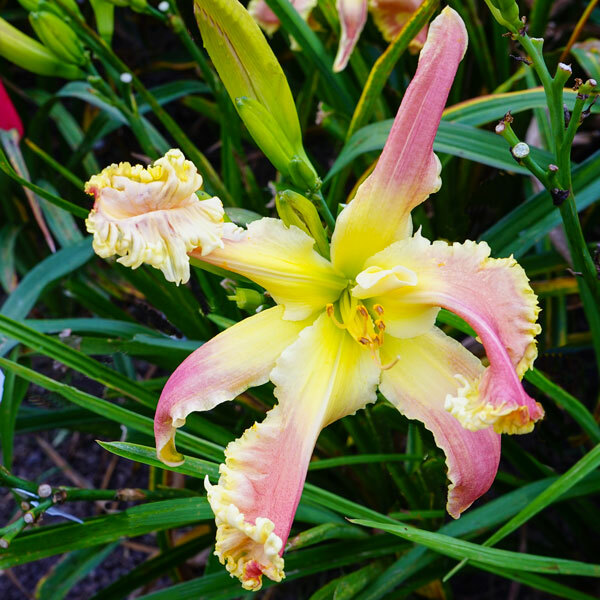 Its a great daylily! I'm going to keep price at $700 for two years so people who buy it and can make there money back if so desired. Hopefully each region could buy one, or any clubs. Thanks , all of you for making this happen. Any questions, feel free to call...$700 SF. Will give a $200 bonus plant also. 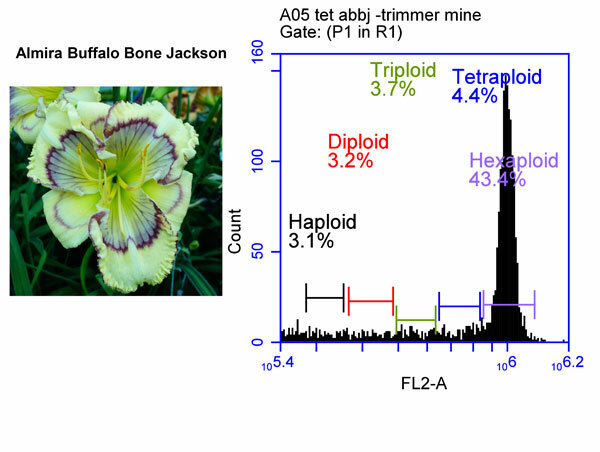 Pentaploids have 5 sets of chromosomes, 55 for a daylily. Some different faces, from day to day. I bloomed a Home of the Free x tetra Rose F Kennedy cross in Florida, but it was dormant and did not do well, so I bought it home to Ohio. After separating 3 fans from a single clump of the plant (all fans generate from the same seed) I analyzed the ploidy of each fan. 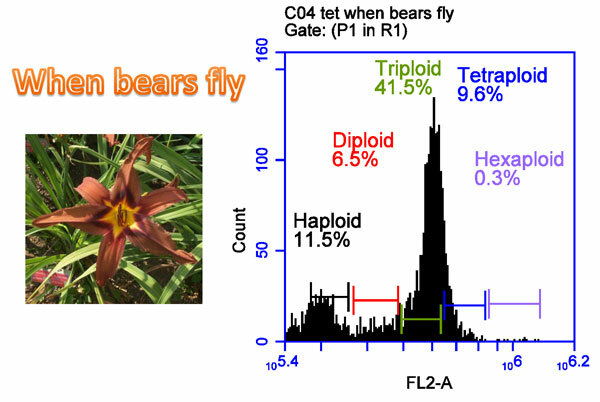 The results were that each of the three fans had different ploidy as follows: one each 3x = Triploid, 4x=Tetraploid, 5x =Pentaploid. We were able to cross the 4x fan with normal tetraploids and were able to cross the 5x with 3.5x and 5x plants. I did not use the pollen from the 5x on 4x flowers. Concern about ploidy caused me to analyze Tet Rose F Kennedy and the results were the conversion I have is a chimera. I verified this by Flow Cytometry, results not shown. The theory is cells at the apical meristem (growing point) of converted flowers can when dividing yield different ploidies. Mixed ploidy is why many of the flowers we buy are hard to use. Ploidy deviation can be caused in making tet conversions, the use of BAP and Pre-Emergents herbicides and, of course, nature. 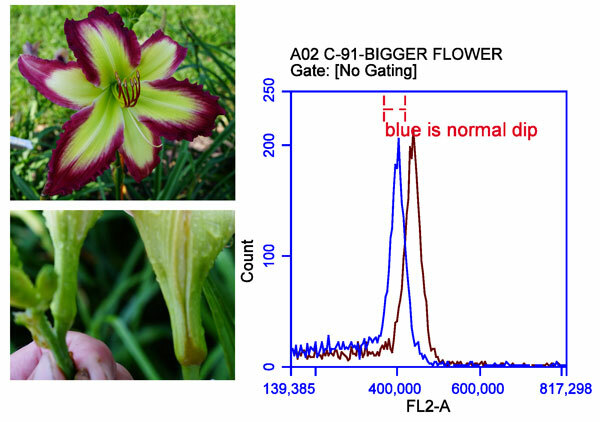 Conclusion: Difficult to use flowers may not be sterile, you just have to cross on plants with matching ploidy. Just not limited to higher ploidy, here is a diploid, future of mine which also shows different results. The flower overy base was almost twice as big. Dose it have higher ploidy or addition to chromosomes, like longer pair. Chromosome karyotyping will answer this question. Here I tested one pot of my diploid Chasing Your Dreams after using tetraploid pollen on what I thought was a diploid plant. 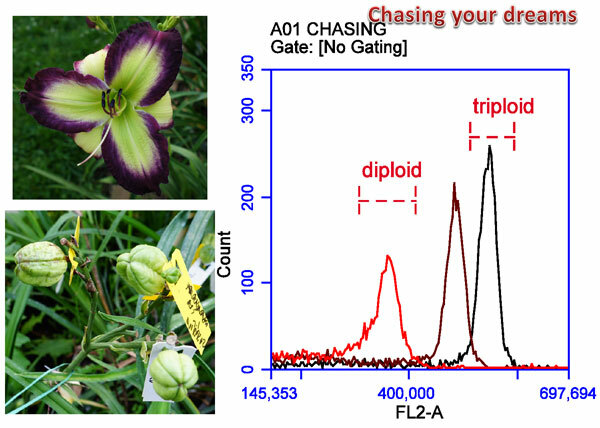 Tetraploids can be crossed to triploids.These are untreated plants, why is there a ploidy change? It dose make sense why I got pods and the seeds were good. Here is a treated plant I thought was tetraploid, 95% of pods fell off tetraploid crosses. Why, because Hexaploid . This is more common than normal. Another example of a conversion, has haploid and triploid ploidy.